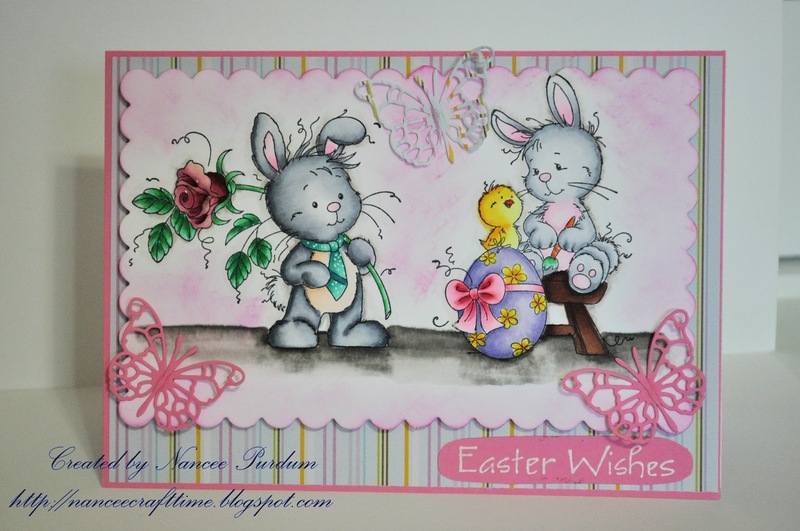 I had time for two Easter cards this weekend. I have several more to make, but I at least had time for two! 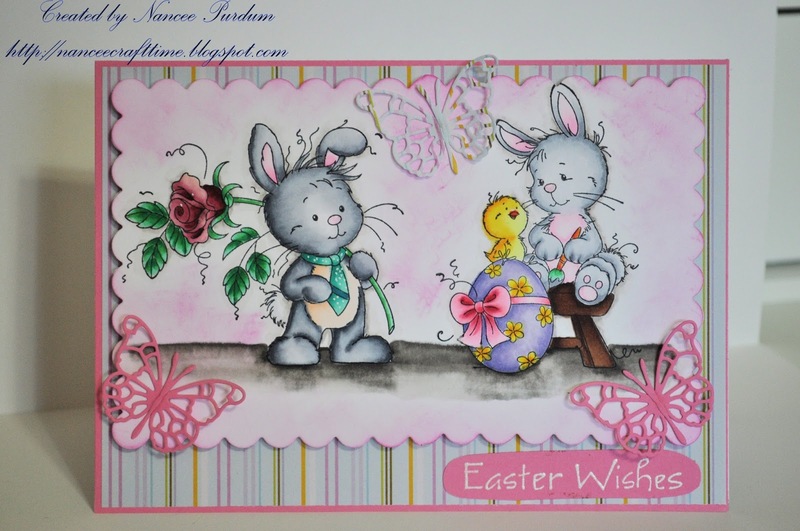 For my first card, I used two Wee stamps, East Bunny and Wee Bunny. I thought they looked great together. I used Copics to color the images. I used paper from The Paper Studio, Four Seasons, and my new Pippi Butterfly die from Memory Box. 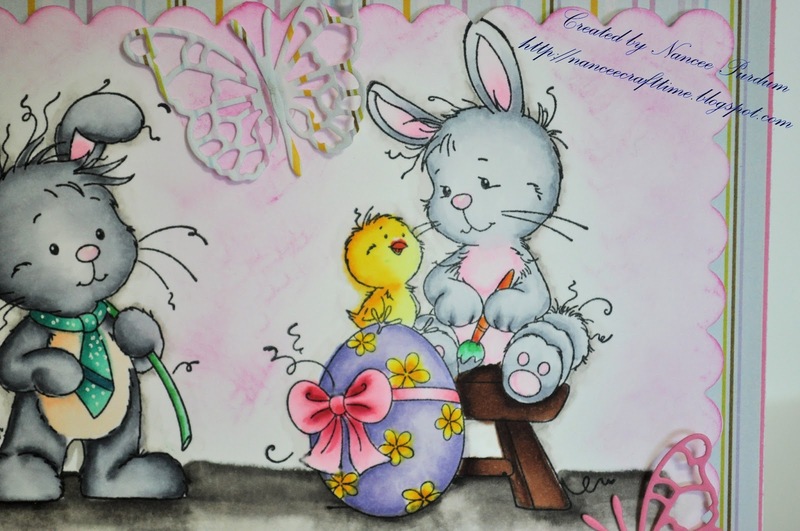 The Copics I used for Wee Easter Bunny are C0, C1, C3, C5;RV000, RV00, RV10; flowers on egg – Y000, Y04, Y19; easter egg – BV0000, BV000, BV01, BV02; ribbon – RV000, RV00, RV10, RV23, RV25, RV29; chick – Y00, Y11, Y13, Y17; chair – E23, E25, E27, and E29. 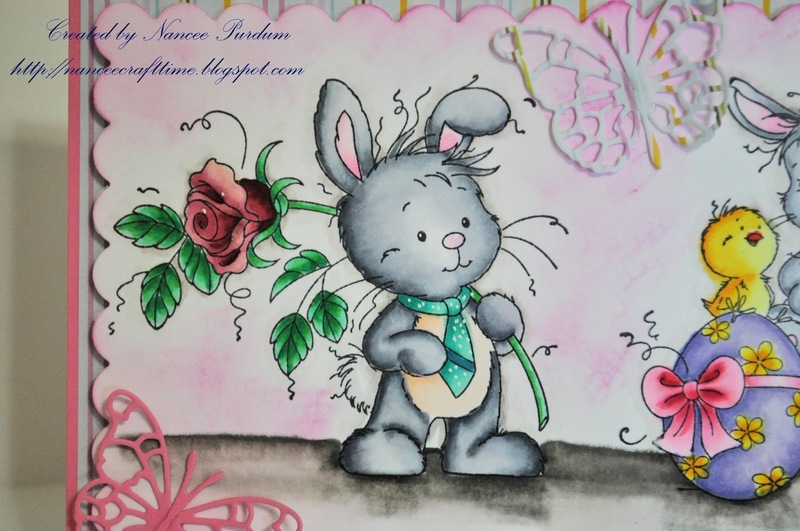 The Copics I used for Wee Bunny are C0, C1, C3, C5, C7; ears – RV10, RV000, RV000; Belly – E0000, E000, E00; tie BG07, BG11, BG13, BG15; stem and leaves – G00, G02, G05, G16; and rose – R000, R81, R83, R85, and R89. Totally adorable! Beautiful coloring and design. Just darling! love it Nancee!